Last weekend I received an invitation to attend the Microsoft Techdays 2012 in The Hague (Netherlands). Because I’d like to keep a broad view and I want to be able to evaluate and judge techniques based on a complete solution, I changed my calender and accepted the invitation. Unfortunately I missed the keynote session because traffic was a nightmare that morning. The first session I attended was “Configuring & deploying a private cloud with System Center 2012”. Looking at the demo, System Center Virtual Machine Manager is very much like vCenter Server 5 but with a touch of vCloud Director in it. This requires administrators to use a different, cloud based mindset. Based on my experience with vCloud Director and the fact that cloud based solutions elevate the complexity level, I think this may be an obstacle. Also, because a private cloud is nothing more or less than a private datacenter setup, I don’t prefer a cloud based approach here. On the other hand, this approach eliminates the need for a different method for private or public cloud solutions. The item I really like is the application template functionality. With this you can create a template for a SQL, Sharepoint or Exchange server, which further reduces service implementation time and quality. This is really an area where Microsoft benefits from being the application owner/developer. With System Center Operations Manager it is possible to monitor the total infrastructure stack from the hypervisor up to the application. Again, Microsoft benefits from owning the entire stack. The disadvantage of the entire System Center suite, in my opinion, is the number of screens, dashboards, pop-ups, etc. This is the caveat of combining all functions in one application suite. True, it’s a (very large) single pane of glass but with the amount of information that a complete infrastructure generates, the amount of screens and information is too much and slows you down. A true information overload. Another thing I find really annoying is the sluggishness of the System Center interface. A part of this may be caused by the debug logging in the beta version (although no beta indication was shown), but the main part could be caused by the application design (pop-ups, windows, etc). Compared to vCenter Server the System Center suite has a lot of features because Microsoft controls the entire stack but looks like a howitzer at a paintball game. Unfortunately this session was canceled because the speaker was held up at the airport in Seattle. This is a major bummer because this was the session I was really looking forward to. This was a great session by Bryon Surace. For me it was a sort of a ‘What’s new in Hyper-V 3.0’ session because I haven’t given it much attention yet. Bryon mentioned a lot of new features regarding availability of the next version of Hyper-V. Of course these features are still subject to change because it is still in the development phase , the first beta is expected to be released soon. The first major improvement is the clustering setup. A Windows 8 Hyper-V cluster can contain up to 63 nodes and 4000 virtual machines, it has virtual machine fail-over prioritization and anti-affinity rules. This is a major improvement as with the current version you are limited to 16 nodes in a cluster and 1000 virtual machines and there are no fail-over prioritization or affinity options available whatsoever. Within the cluster there also is a new virtual machine placement policy set which is build into the hypervisor. This intelligent virtual machine placement evaluates memory requirements on a per virtual machine basis and compares this to the hosts capacity to determine the best placement. With the current version this is handled by System Center Virtual Machine Manager (SCVMM) and placement is done per host until the host is full. So again, a definite improvement. The third improvement on the clustering level is the availability for generic health monitoring for any application. Clustering in the host can now identify application failures and take recovery actions. 3. Application level recovery which will restart services/applications on an application failure. The last change is something Microsoft calls Cluster-Aware Updating (CAU). CAU allows administrators to apply updates to all nodes in a cluster in an automated fashion without impacting service availability. The cluster size improvement is nice but VMware already supports 32 node clusters with a maximum of 3000 virtual machines and that’s a limit I never came close to. The intelligent placement policies are nothing new, VMware DRS has already done this for years. And the Cluster-Aware Updating is also common practice for every VMware administrator running VMware Update Manager. The generic health monitoring is something which VMware support up to the application level with VMware HA and VM & application monitoring. But Microsoft takes this a step further, again profiting from being the application owner/developer and controlling the complete stack. The real stars of the show, in my opinion, were the Hyper-V Replica and Shared Nothing Live Migration. First Hyper-V Replica: it enables site recovery by replicating virtual machines to a fail-over host without the use of special hardware (servers, storage, replication, etc.). It’s an in the box feature which does not have any guest dependencies and it integrates with VSS enabling application consistent fail-over and replication. For security reasons the data transfer is encrypted and data is compressed before transport for use over WAN connections. Second star of the show, Shared Nothing Live Migration: This is still the working title and it will probable change before the final release but it describes exactly what it does. Live Migration of entire virtual machines (running state, storage, configuration) without the use of a shared storage solution. Just move a virtual machine from one server to another using a single ethernet cable, without service interruption. The enhancements on the CSV is not a very big deal. VMware uses a VMFS (or NFS) file system which is a cluster aware, high performance, feature rich, stable file system which has all the performance and features we may need. The two stars of the show however, are a whole different story. Maybe you can achieve this in a VMware environment but you will need additional (3rd party) tooling. With Hyper-V 3.0, this comes in the box, simple, easy to configure. These new features will bring enterprise functionality to the masses. 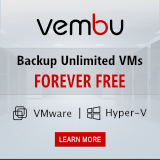 SMB customers can now implement vMotion and Site Recovery without the use of expensive hardware and/or software. The final new features I want to mention are Virtual Switch Extensions and Single-Root I/O virtualization (SR-IOV). First, network extensibility allows customers to add advanced features, like filtering, capturing, forwarding, to their virtual switch. Third parties can create plugins to insert these advanced features into the Hyper-V virtual switch. Second, Windows 8 Hyper-V will offer Single-Root I/O virtualization (SR-IOV) which is a direct device assignment to virtual machines without compromising flexibility. It reduces CPU utilization and increases throughput while retaining support for Live Migration. The only caveat with SR-IOV is the ‘Quick-like’ scenario Microsoft uses during Live Migration. During a Live Migration, SR-IOV is disabled and the virtual machine switches back to a synthetic Hyper-V network card to support the move which will cause a performance degradation. The Virtual Switch Extensions is much like the Distributed Virtual switch, the Cisco Nexus 1000V and VMware vShield in a VMware environment although Microsoft seems to have a more open solution enabling more third parties to write extensions. Regarding SR-IOV, this is much like VMware’s NPIV, not much new there. The last session also was presented by Bryon Surace and this time he addressed the improved scalability of Windows 8 Hyper-V. Customer demand nowadays is for more compute power in a virtual machine but as Bryon mentioned, scaling isn’t just adding more virtual processors its a balance of compute, memory, network and storage. The goal of the new version of Hyper-V is to maximize hardware usage. Servers nowadays get faster and faster, containing more memory and it’s up to the hypervisor to use all this power. Again, these numbers are still subject to change because it is still in the development phase, so mentioning them now has no added value. For what it’s worth, with the new scalability Windows 8 Hyper-V it comes close to, matches or even exceeds VMware vSphere 5 numbers. But what do these numbers mean? It says that Microsoft has really made an effort to close the gap. Regarding all other factors, it’s like who has the fastest car. Nice but you only need it when you intend to use it and the numbers in both camps hugely exceed my biggest implementation of a virtual infrastructure so far. Microsoft is really making an effort to close the gap to VMware. In some areas they’re close, in other areas they’re not. Although I think the Microsoft portfolio in the virtualization space is out of balance (the management products are way ahead of the hypervisor’s capabilities), the challange is certainly there. So, one thing is for sure, VMware will need to come up with a proper answer because with the release of Hyper-V 3.0, Microsoft will surely invade on VMware’s turf. In my opinion, with Hyper-V 3.0 Microsoft has a product which is at a level of VI 3.5++. When we look back, that’s when VMware gained it’s biggest momentum and entered almost every corporate datacenter you could find. The virtualization landscape as we currently know it, may see a major change at the beginning of 2013. That is ofcourse, if Microsoft makes good on its promise and releases Windows 8 and Hyper-V 3.0 on time, including the features and improvements described above. @Daniel: Thank you very much for the invitation. It was a great learning experience and an overall great day!